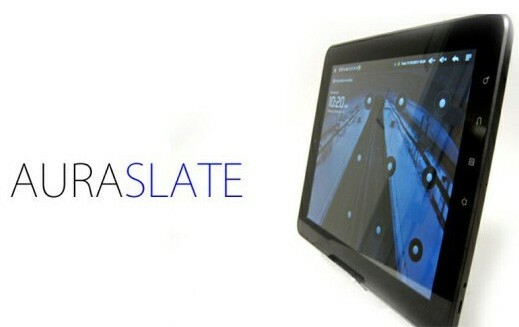 Hello Guys , Today , A new Tablet comes into the Market Named Auraslate , Its an Open source Tablet with Android Installed , and lots of Tools and toolkit for hackers inbuilt . Aura slate may be for you. It’s basically an Ice Cream Sandwich-compatible tablet built from the ground up for hax0rz and programmers alike. There are two models – the 7-inch 726B and the 10-inch 1026 – and the 1026 can run the latest version of Android. You can upload any version you want, however, and even the hardware is open source in that you receive a hardware source disk for about $20 extra. Auraslate just launched (thanks tipster!) so we’ll have to wait and see how popular and useful the product becomes. However, as a tool for developers it seems that the founders’ hearts are in the right place. This is one of the good post.I enjoy a lot by read about your post.This is one of the useful post.Supper.